Penguin halts Kindle library lending: Will more publishers disable the feature? Incumbents often fear new technology, it seems. Penguin Group, a book publisher, has asked that all of its e-books be removed from the Amazon Kindle library lending service, which is a joint operation between Amazon and a company called OverDrive that specializes in managing digital content for publishers, schools, libraries, and retailers. 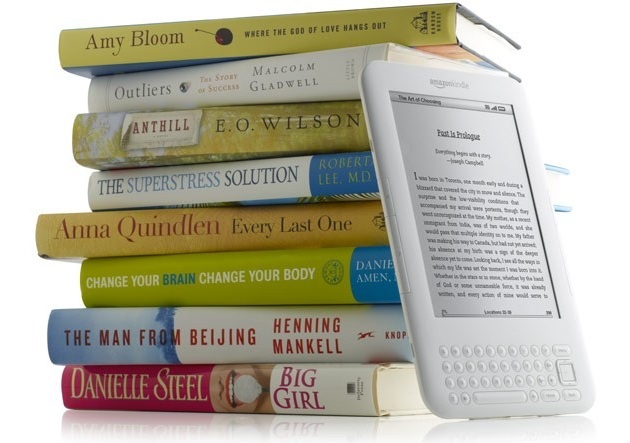 Library lending allows Kindle users to borrow a book from 11,000 libraries across the United States by simply going to the library’s Web site. The publisher cites fear over the security of the service as its primary reason for halting the lending of its books. So what is the security concern? We’re not sure yet, but we’d bet it’s related to the fact that you can borrow books from the library from the institution’s Web site without having to actually visit. When Penguin signed up for this library lending service, perhaps it believed that it would be tied more heavily to visiting the library, which would naturally limit the number of books available to a person because they had to actually visit. Now, with the right credentials, a person could technically get on his or her computer and start borrowing Kindle e-books from any library and continue borrowing new books and not paying for anything with relative ease. Of course, library lending must have always been a source of contention for publishers, as users don’t pay for rented books, but this new service makes it more convenient, which may scare Penguin and other publishers. A report from The Guardian last week painted a grim picture of a similar Amazon program: the Kindle Owner’s Lending Library. The Owner’s Lending Library is somewhat similar to the public library lending in that it allows Amazon Prime members to borrow a book a month from the Kindle store but the six largest book publishers have refused to participate. Penguin, Random House, Simon & Schuster, HarperCollins, Hachette, and Macmillan all opted out of Amazon’s lending feature, but are complaining that many of their books have now appeared on the list anyway. Amazon has been known to be pushy about new features, usually for the betterment of its users, but sometimes to get an edge on the competition. Earlier this year, it angered many music companies when it used a loophole to allow users to store purchased and uploaded music to its Amazon Cloud Drive, access that music from mobile devices, and freely download unlimited copies of purchased MP3s. Google Music, which just launched, only lets users download a song to their computer twice. With Penguin now questioning public library lending, it doesn’t seem out of the question that other top publishers may disable the feature as well, putting Amazon in a bit of hot water. Simon & Schuster and Macmillan already refuse to make e-books available to libraries, and HarperCollins heavily restricts e-book usage. Is Amazon on the right side of history here, or is it pushing its weight around to get a tactical advantage? Maybe both? The publishing industry had a similar uproar when Amazon added text-to-speech functionality to the Kindle a couple years ago because it feared that if the Kindle could read a book to users, then the market for audio books, which publishers charge a hefty premium for, might die out. Is this an industry squirming because times are changing or is this Amazon pushing its power too far? We tend to think Amazon may know what it’s doing. Update: Added several paragraphs, elaborating on the current situation. Update: Corrected an mistake between the Kindle Owner’s Lending Library and the library lending service being discussed here.